Arithmetic series vector illustration of the numbers from 1 to 9. Different abstract decorations on each one of the digits: swirling lines and spirals, waving lines, stripes, mesh, pattern with small crosses, rounded squares with different sizes, circles and various lines placed differently. 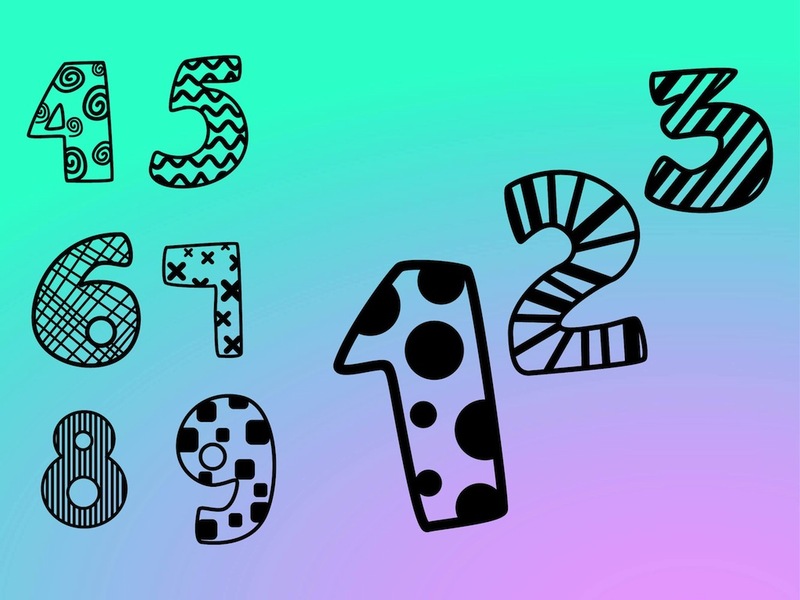 Free vector number pack. Tags: Calculations, Decorations, Digits, Fun, Math, Mathematics, Symbols.